COMMENTS: Seriously! If you are new to soap making then this set is for you! It makes testing different oils very easy! COMMENTS: This is a great set of CP soap making oils. It is a good value as you save money buying the oils together. COMMENTS: This was just what I needed to get into soap making! COMMENTS: I was making my very first cp soap. If you want to get some different oils to try, like i wanted, this is what you need. I still have enough oils for one more batch. Resonable deal. COMMENTS: This set is perfect for a restock of several different oils as well as for new soapers or folks new to WSP to try out a great selection of oils for a great price. "Good variety of the beginner"
COMMENTS: These oils worked great in cold process soap recipes. It gave me the opportunity to make several different soaps without a huge investment. I recommend this to anyone who expresses interest in learning how to make cold process soap. • The quality of the oils. "A great way to sample"
COMMENTS: I really liked this bunch of oils. It was a convenient way for me to try each of them in my products. COMMENTS: This kit was a very nice way to get started with CP soaping. COMMENTS: I really liked this kit because it allowed me to try out these oils in small quantities to see if I liked them. I still have 2-3 bottles I haven't used. I definitely recommend if you're just starting out or curious to experiment with small recipes. COMMENTS: This kit is the best way to try out a few oils with out going crazy and buying too much. Plenty here to make a couple loaves of soap. COMMENTS: If it wasn't for this kit, I wouldn't be making soap today. I was so put off by the high prices and high cost shipping from other soap companies that I almost gave up before I even got started. I was so grateful to find everything I needed in one place at such a reasonable price. Using these products, I haven't had a problem batch yet-not bad for a beginner. COMMENTS: I love this set of oils. I am new to soap making and the bottles are a good size. I am glad I found this site. COMMENTS: This is a great value for a beginning soapmaker like myself. COMMENTS: This kit allowed me to experiment without breaking the bank! COMMENTS: I'm so happy I decided to purchase this kit. I've made two batches and they've turned out great. I'll be buying some more for sure! COMMENTS: Buying this kit was a great way to try out a few oils with little commitment. I wouldn't normally buy palm oil and havent yet used it but the others worked perfectly in my recipes and I will be buying larger quantities for sure. COMMENTS: I think this oil kit is the best deal I have found so far when it comes to buying oils for CP soap, they are all good quality! I wish they came in oil bags instead of bottles though, so I could squeeze out every last drop. COMMENTS: This is a really good bargain, as you get to try wonderful oils without breaking the bank. I'll be ordering this kit again. 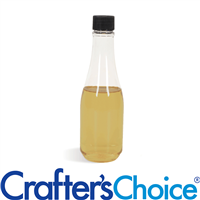 COMMENTS: I ordered this to try out some recipes I had been curious about....it is absolutely perfect for new soapers....or anyone who desires testing new oils.Love the bottles,they are recyclable.They don't leak like another companies do :( ! What a fantastic collection of oils.Would recommend to anyone. COMMENTS: I bought this kit when I first gathered up the courage to forage into cp soap.. You can't beat the price and the oils were all of great quality . By purchasing this kit I had the ability to experiment with out breaking the bank. COMMENTS: This kit is great when you are just starting out to get an idea of which oils you like and about their different properties. COMMENTS: This is a great price to start off if you are a beginner like me. Plus you save instead of buying each single. Thanks for the great price you offer WSP. COMMENTS: I just love all these oils. I have used them in cp soaps and haven't had any problems. I love the fact I can get all these oils at such a great price! "great kit at an unbeatable price." COMMENTS: I wanted to try new recipes using avocado oil and this was just what I needed w/o spending lots of money. The oils all were of high quality and the soaps I made were of a lovely consistency and feel. COMMENTS: This is an amazing set for anyone wanting to try cold process for the first time. COMMENTS: I love that it's everything you need in one kit! This makes it not only easy to order but a great value. I definitely will be ordering more! COMMENTS: This was a really easy way to get all the oils I needed to try WSSP. Their oils are of great quality! This is a cheap and simple way to get oils for making soap! COMMENTS: I could not wait for it to arrive. I am new to soap making and this kit (all kits) on this site are great. Wonderful tool to use when you are just starting out. Give you the opportunity to see what you like and what you do not like. The cost is reasonable and fair. I will order this kit again and mix with other oils to find exactly what I am looking for. COMMENTS: i bought this kit because i wanted to try avocado and palm but was unsure of them. This kit was great i was able to buy a small amt of all of them. COMMENTS: I am really happy with this purchase, it gave me an opportunity to test out the quality of their oils Asta very reasonable price. I am really happy with the result! COMMENTS: This is a great sample of some of the most commonly used oils in cold process soap. Great quality and a good price. COMMENTS: I used this oil kit for my first cold process soaps. I like the addition of avocado oil since I like to replace half of my olive oil with it. The quality and price is so good, I'll reorder for future soaps too. "HOW WILL I KNOW HOW MUCH LYE TO USE WITH THIS"
Staff Answer This is not a recipe but simply a sample set of the most commonly used oils in cold process soap making. You can try these oils in your soap recipe. "Is there a way to replace to coconut oil in this? i have an allergy to coconut and dont really need it. " Staff Answer We are not able to make substitutions in our kits. The only way not to receive the coconut oil is to purchase the oils individually. 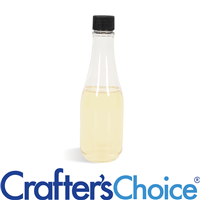 "Can this kit be used in hot process soap making? " Staff Answer Yes, these oils can be used in both cold or hot process soap making. "How much soap will this kit make?" Staff Answer 28oz of oils will make a 2.5lb batch of CP soap. This kit contains (5) 1lb bottles of oils. How much soap that makes will depend on your recipe and batch size. "Why doesn't WSP have a print out of what the oil and butter properties are, and how it may help your skin?" Staff Answer We have the properties on the product pages for the individual oils for the kit.